Coal deposits at Owukpa, Okaba, Ogboyaga, Omelehu, Lafia-Obi and Kudu-Makera were selected for study of their energy conversion efficiencies and as raw materials for the production of smokeless coal fuel and electricity generation. Local combustion, organic geochemical Leco CS and Rock-Eval data were generated on the coals. Combustion studies recording the time it takes same quantities of water to attain boiling point using same quantities of coal show that the Okaba coal is the most efficient with 10.0 mins; followed by Omelehu (11.4 mins), Owukpa (13.2 mins and 25.0 mins) while the Lafia-Obi coal never brought the water to boiling point. The Kudu coals were too shaley for this experiment. Leco CS shows that higher Corg (TOC) values equivalent to burnable carbon are recorded in the Okaba and Ogboyaga coals. Rock-Eval data show that highest Hydrogen Index (HI) values equivalent to fuel contents are recorded in the Okaba coals followed successively by Ogboyaga, Omelehu, Owukpa and the least in Lafia-Obi coals. High Oxygen Index (OI) values equivalent to smoke or retardants are recorded in the Ogboyaga coals, followed successively by the Lafia-Obi, Omelehu, Owukpa and the least in Okaba coals. Integrating and combining the results, the coals from Okaba have the best energy conversion efficiency and therefore most efficient for use in smokeless fuel production and electricity generation, in the present form, with little negative impacts on man and the environment. The Ogboyaga, and Lafia-Obi coals have too much of retardants and will produce too much smoke. The Lafia-Obi coals also have low fuel content in addition to being poorly combustible. The Owukpa coals have low retardants and slightly lower fuel than the Okaba coals. The Omelehu coals have slightly more than average retardants and high fuel. The Kudu-Makera coals are too shaley and suitable only for the generation of gaseous hydrocarbons. Defusinization experiments in which samples were digested with eight types of organic acids gave results that show that Benzoic and Formic acids can be used to clean the coals to make them more suitable for smokeless fuel production and electricity generation. 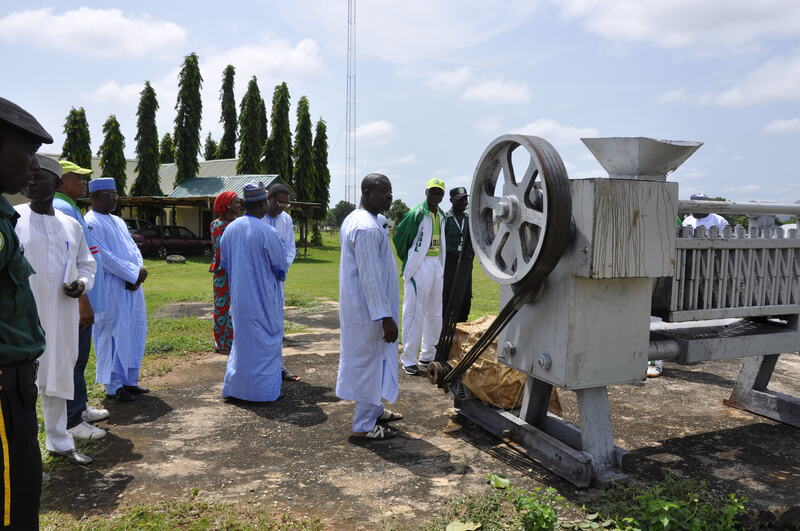 The results obtained will assist to curb the alarming rate of deforestation in Nigeria, mitigate negative climate change impacts and biodiversity loss and contribute to the Nigerian government energy-mix initiative that is expected to enhance energy supply and availability through augmentation with alternative energy sources. The present scenario where 23 of the 26 power generating stations in Nigeria are gas-dependent and the remaining 3 hydro-dependent is unsustainable for industrialization and national development.